I know of a company that boasts of a 95 percent customer retention rate. That means 95 percent of its customers are repeat customers. One of the best ways to build a stable income is through returning customers and clients. Not only do you keep their business, but if they’re returning, they like you which means they may refer others to your business. 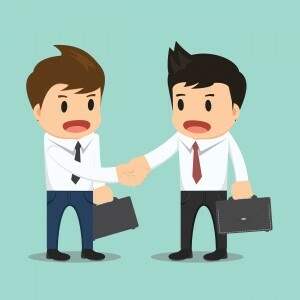 When it comes to marketing, nothing is more effective than repeat and referral business. But customer loyalty doesn’t happen on its own. Here are tips to keeping your customers and clients coming back. 1) Provide great value. I once bought an ebook in which the main content was done 65 percent of the way through the book, leaving 35 percent of fluff. I felt ripped off. You never want to leave your customers and clients feeling like they didn’t get what they paid for. 2) Always be truthful. In the movie Miracle on 34th Street, Santa boosts Macy’s popularity by referring customers to other stores if the product was a better value elsewhere. While you don’t need send your customers away, if you don’t have it or know it, say so. If your product can’t do it, admit it. Don’t resort to lies or deception to make a sale. 3) Focus on your customers and clients, not on you. This means you need to listen to their wants and needs to fulfill them. There may be times in which you need to give a customer or client your opinion as an expert, but don’t try to force your customers or clients into something because that’s the way you want it. 4) Always respect your clients. It seems obvious that you’d show good manners toward your clients, but you’ve probably been on the receiving end of a rude or disrespectful business. Even if you’re feeling surly, you need to dig deep to smile and be nice or have one of your staff or a virtual assistant deal with the client or customer. 5) Make it easy for people to do business with you. If you’re not a available to take calls, do you have a voicemail? Do you offer more than one payment option? If you do business online, is your ordering process straightforward and easy to use? When people can’t find what they need, get help or complete an order, they’ll give up and find another business. 6) Have a great customer service system. Your job isn’t finished at the end of the sale. Clients or customers will have questions or returns. Create a system to provide support and information after a sale. Make it easy for clients to make a return. Have a follow up system to insure they continue to be happy with the service or product they received.